Cunningham wasn't given a rushing attempt or pass target in Sunday's loss to the Patriots. Analysis: After carrying the football three times last week, Cunningham returned to his role as primarily a special-teams player. With just four touches and 17 yards on the season, he's not a player who can be counted on in fantasy lineups. Cunningham carried the ball three times for eight yards in Sunday's loss to the Dolphins. 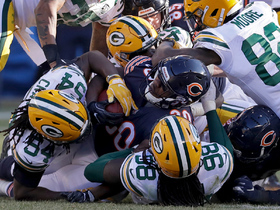 Analysis: Surprisingly, Cunningham received his first three carries of the season in the fourth quarter while the game was still in question, with the coaching staff surprisingly choosing not to give those touches to Jordan Howard or Tarik Cohen. With just four totes for 17 yards on the season, Cunningham would need an injury to one of the other running backs to have increased fantasy value. 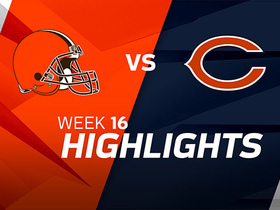 Although he was used on special teams, Cunningham didn't receive an offensive touch in the Bears' victory over the Buccaneers. Analysis: Cunningham has had just a single touch through four games. Unless the team suffers injuries at running back, it appears his offensive role will be minimal. 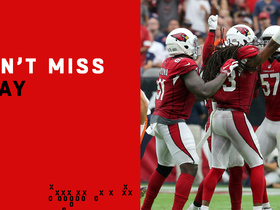 Cunningham caught one pass for nine yards in Chicago's Week 3 win over the Cardinals. Analysis: Cunningham was targeted twice in a game that saw him produce his first touch of the season. Other than his special teams work, he's been largely an afterthought in the Bears offense, and he'd likely need an injury to earn appreciable rwork on a regular basis. Cunningham won't suit up for Thursday's preseason game at Cincinnati, Rich Campbell of the Chicago Tribune reports. Analysis: The Bears are also holding out Jordan Howard (knee), meaning Tarik Cohen, Taquan Mizell and Ryan Nall are the only available running backs in the exhibition opener. Cunningham may have difficulty finding a consistent role in the regular season with Howard slated for a heavy workload and Cohen on hand to handle pass-catching duties. Cunningham will re-sign with the Bears, Patrick Finley of the Chicago Sun-Times reports. Analysis: Cunningham will thus reprise his role as a depth back and core special teams player for the Bears after carrying nine times for 29 yards and catching 20 passes for 240 yards and two TDs for the team in 2017. From a fantasy standpoint, however, Cunningham is clearly behind both lead back Jordan Howard and top change-of-pace man Tarik Cohen. Cunningham is visiting the Buccaneers on Sunday, Jason La Canfora of CBS Sports reports. 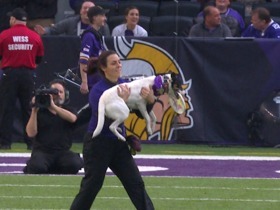 Cunningham caught one pass for six yards in the Week 17's 23-10 loss to the VIkings. He ended the season with nine carries for 29 yards along with 20 receptions (on 26 targets) for 240 yards and two touchdowns. 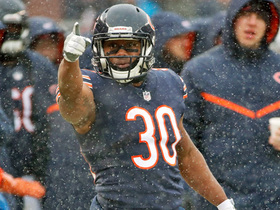 Analysis: Cunningham was a core special-teamer who returned 26 kickoffs and also shared passing-down work out of the backfield with Tarik Cohen. WIth his one-year contract having expired, he'll be an unrestricted free agent and should have no trouble latching onto a similar role with another squad if he doesn't re-sign with the Bears. With an average of 40 touches over the last three years, he'll likely continue to be a depth option in fantasy leagues. Cunningham caught four passes for 33 yards and a touchdown in Saturday's defeat to the Lions. Cunningham caught two passes for 14 yards in Sunday's victory over the Bengals. 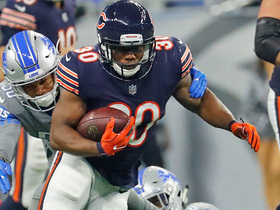 Analysis: For the second straight week, Cunningham has taken a backseat to rookie phenom Tarik Cohen, as he only served as an occasional third-down back. With just 11 touches over the last six games, he's offered fantasy owners very little production. 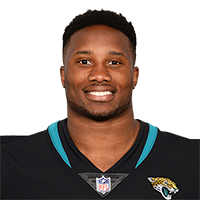 Cunningham hauled in one pass for nine yards while losing a yard on his only rushing attempt in Sunday's 31-3 loss to the Eagles. 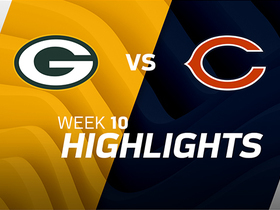 Analysis: Even though the Bears were playing with a significant deficit for the majority of this contest, Cunningham was targeted just twice. He's yet to touch the football more than five times in any game this season, making him a low-upside fantasy option. 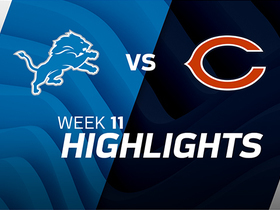 Cunningham caught one pass for eight yards in Sunday's 27-24 loss to the Lions. Analysis: After seeing more work than rookie Tarik Cohen last week, the veteran took a back seat to the rookie in this contest. He's been held to fewer than 10 yards in two of his last three games, and he's a low-upside fantasy option with a scary floor in PPR leagues. 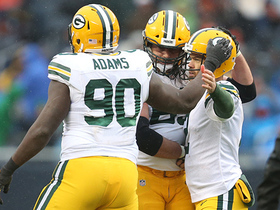 Cunningham caught three passes for 32 yards but lost a fumble in Sunday's 23-16 loss to the Packers. 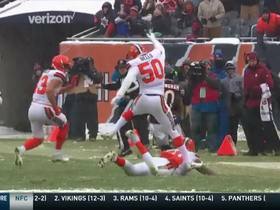 Analysis: On Cunningham's biggest play of the day, a 23-yard reception, he tried to extend the ball into the end zone, but replay determined that he lost control of the ball, resulting in a lost fumble and a touchback. Although he's rushed three times for four yards over the last three games, he's also caught seven passes for 75 yards during that span, making him a dart-throw flex option in PPR leagues.